We leverage your internal intelligence, both data and human, to create a collective vision for the future. We have a track record of focusing our clients on precisely the discussions they need in order to build great strategy, ignite productivity, and surpass performance goals. Strategy development and working in creative sessions comes naturally and we hear continually that what we do is unique and different. We know from experience why our processes are so successful for clients — we get you to think differently and move into action with confidence. Our outside-in approach to strategy development means, we bring new ways of thinking to your planning discussions by leveraging the market intelligence you already have and strengthening how you apply it into your plans. 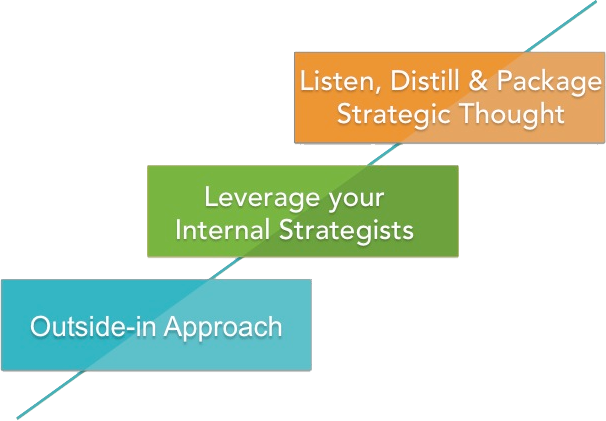 We leverage your company’s own internal strategists in strategy development. We know you have great strategic thinking in the hearts and minds of your talent today. Our job is to structure discussions and tap existing talent to develop and integrate your strategic thinking. We are truly gifted at listening for, distilling and packaging strategic thinking wherever it resides in your organization. We tug on those threads of strategy, coaxing them into the light of planning discussions so you can use them in your strategy development. In addition, we use graphic recording to facilitate and distill thinking in real time. 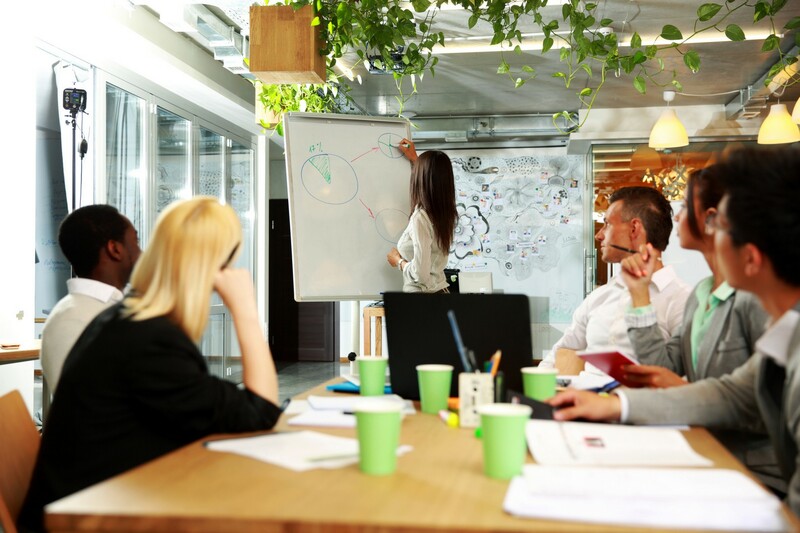 After your strategy session, we use practical “strategic direction on a page” templates to provide leadership with tools to lead strategy implementation and execution.